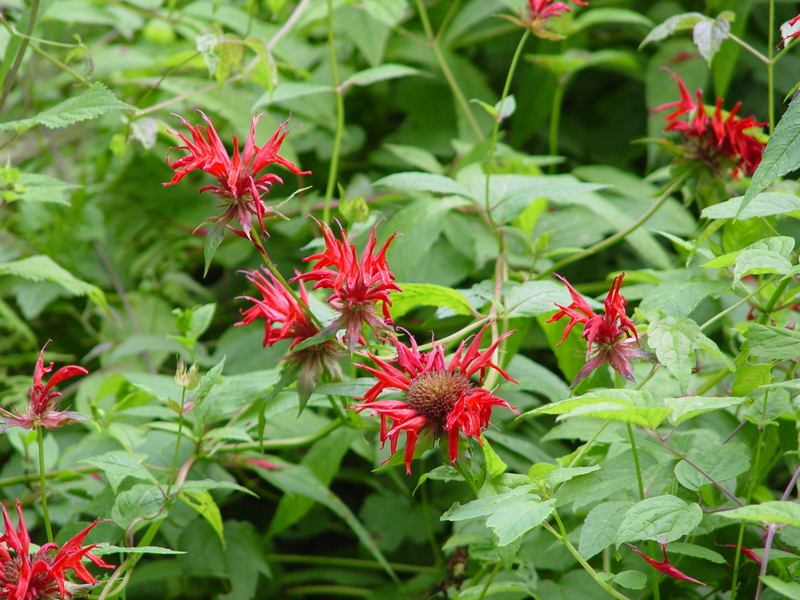 Monarda didyma—Crimson Bee-balm or Oswego Tea: This plant has the most conspicuous blossom of several Monardas which are currently in flower. All are members of the Mint (Lamiaceae) family and the leaves can be used for tea. Before the foliage of Camellia sinensis (Tea Plant) were readily available, this plant, along with others was used as a source for that beverage. 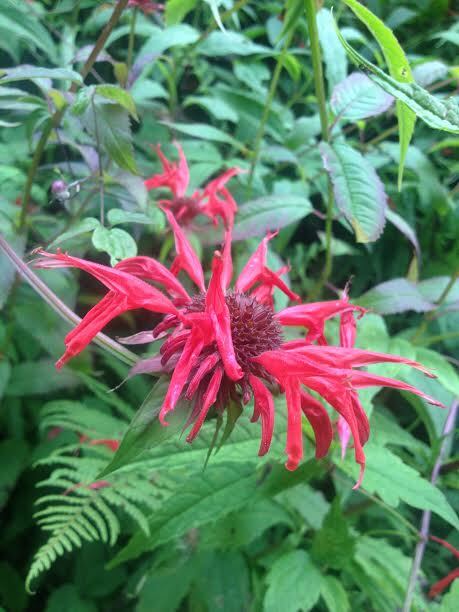 It is fairly common in the mountains along moist slopes and wet areas. If you’d like to plant it, keep in mind its preference for rich, moist, acidic soils and look to buy the variety ‘Jacob Cline’. It is resistant to the powdery mildew that plagues the species form in our lower elevations. (I.D. Hint for Mint: Break off a small section of the plant and you’ll notice the square feel of the stem as you roll it between your fingers. Square stems are an identification factor for mints. There are many species currently in flower.) If you have problems discerning the difference between square, triangular, and round stems, make a note NOT to consume too many adult beverages before botanizing! ← Could my hobby be yours?